Ritmos Latinos FALL 2017 End Of Semester Party! Come celebrate the end of the semester with food, music and lots of dancing! 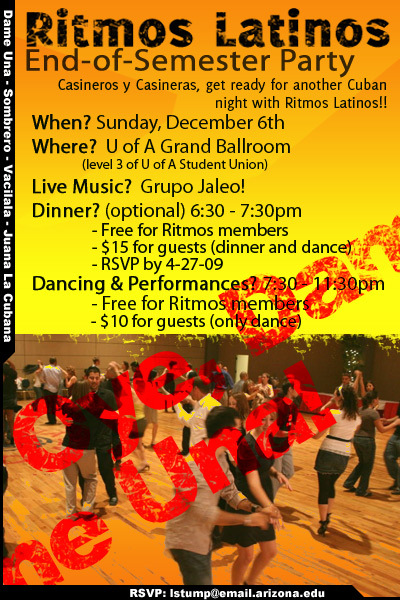 Current Ritmos Latinos members will put up a performance of what they have learned in their classes. 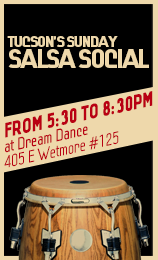 We'll have social dances and rueda circles in between and till the end of the night! El Parrandon de la Independencia Colombiana con musica en vivo de La ORQUESTA JALEO!! Especiales del Bar toda la noche, presentaciones de baile, y LA HORA LOCA! No se lo pierda! La rumba mas bacana del verano!!! This will be the party of the Summer!! Come to Sabor Tropical to celebrate the Colombian Independence with live Latin music from ORQUESTA JALEO. 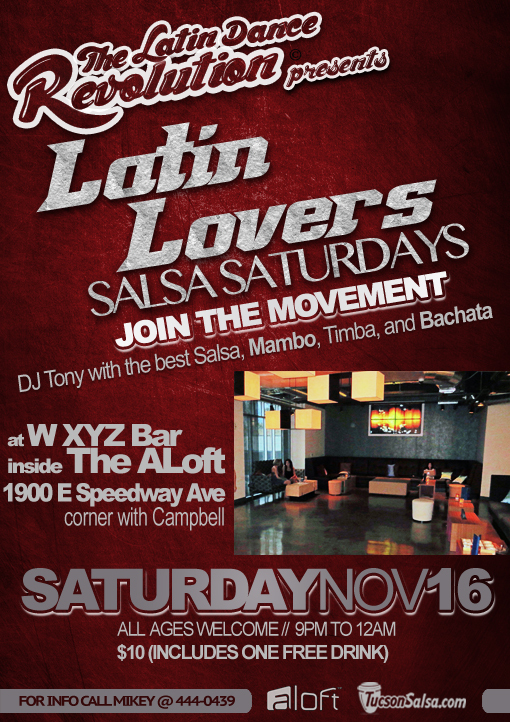 DJ Gil will also be playing the best top 40, reguetton and Latin beats of the moment. There will be Drink specials all night, dance performances, and La HORA LOCA Colombian carnival style!!! We'll keep you dancing ALL night! !